On 30 October 2015, Amnesty International reported that at least four people were wounded and dangerous unexploded submunitions were left strewn around surrounding farmland. According to Amnesty International, unexploded submunitions pictured at the attack site bear similarities to Brazilian-manufactured cluster bombs Saudi Arabia is known to have used in the past. 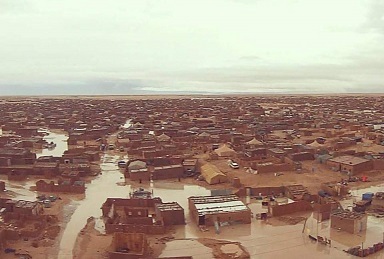 ICBL members, the Network of Studies on Mines and Walls in Western Sahara (REMMSO) and the Saharawi Association of Mine Victims (ASAVIM) call for International support to provide urgently-needed mine risk education and to contribute to the longer-term effort to remove all landmines from the territory of Western Sahara. In the lead up to the Review Conference, the CMC focused its efforts on increasing the number of States Parties, working together with our global network and in close cooperation with our key partners – states, the ICRC and the UN. As of 5 November 2015, 118 states have joined the Convention on Cluster Munitions, among which 98 are full States Parties. During a public event on 17 September 2015, the Instituto Nacional de Desminagem (National Demining Institute) announced the completion of antipersonnel landmine clearance throughout the country. This is a major accomplishment that will allow hundreds of thousands of Mozambicans to cultivate their land, walk to school, and access water safely. At the 70th session of the First Committee, the International Campaign to Ban Landmines called on states not party to the Mine Ban Treaty to move closer to the treaty’s objectives by voting in favour of the resolution. The Cluster Munition Coalition also delivered a statement to the UNGA First Committee, in which it highlighted the impressive achievements of the Convention on Cluster Munitions within just five years of entry into force. Click here to read the statement delivered by the CMC. The statement delivered by the ICBL is available here. This fall, a United Nations General Assembly resolution in support of the total ban on cluster munitions was tabled for the first time. 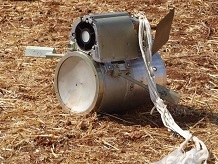 Human Rights Watch has documented the use of an advanced type of Russian cluster munition in an airstrike southwest of Aleppo on 4 October 2015. 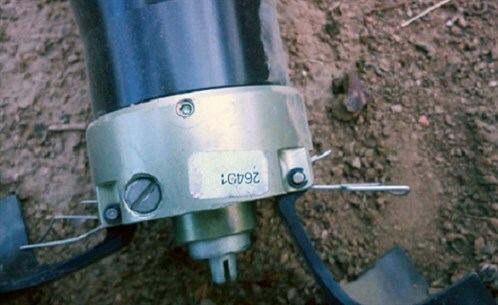 It is the first time that this type of cluster munition (the SPBE sensor-fuzed submunition) is identified in Syria. Based on available evidence, however, it is not possible to conclusively determine if Russia is using cluster munitions in Syria or if it is providing the Syrian air force with this new type of cluster munitions to use. At the 133 IPU Assembly, the Cluster Munition Coalition along with experts from the Parliamentary Forum, Saferworld and Small Arms Survey discussed disarmament and arms trade with parliamentarians, during a side event entitled “Protecting civilians from armed violence – The role of parliamentarians”. The CMC urged parliamentarians to continue supporting the treaty's full implementation and universalization, and to make sure their countries condemn any use of cluster munitions by any actor and join the Convention on Cluster Munitions without delay. In 2015, Fourteen survivor networks received financial support through the Survivor Networks Project to empower landmine and cluster munition survivors and other people with disabilities through direct services (for example, peer support, income generating supports, vocational training) and promote the rights and needs of survivors/persons with disabilities at national and community levels. Since June 2015, important support was provided to survivors and their families in several countries, including in Azerbaijan, Senegal, Somalia and Uganda where a number of survivors received start-up support for income generating activities. The project also funded data collection and needs assessment activities in Azerbaijan, Mozambique, Senegal and Turkey, while 20 survivors in DRC received peer support and developed individual recovery plans in cooperation with social workers. 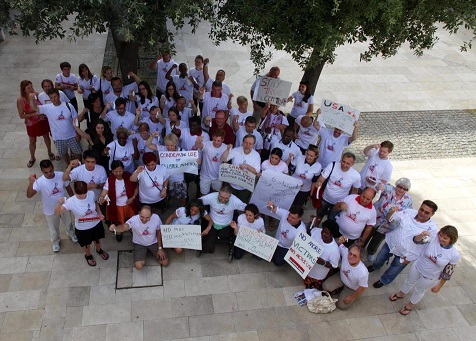 Some 100 states gathered in Dubrovnik, Croatia from 7-11 September for the First Review Conference of the Convention on Cluster Munitions. Through the adoption of the Dubrovnik Declaration and Dubrovnik Action Plan, States Parties embrace an ambitious plan to rid the world of cluster munitions and condemned any use of the weapon by anyone. Statements from States Parties and non-signatories included strong language condemning use of cluster munitions, with States Parties reaffirming their commitment to the Convention's unique partnership with civil society, grounded in needs of survivors and protection of civilians. CMC statements can be found on the CCM First Review Conference webpage. The CMC closing press release is available here. National campaigns continue to actively advocate for the universalization and the full implementation of the Convention on cluster Munitions and the Mine Ban Treaty. Here is a snapshot of what they’ve been doing in the past months. 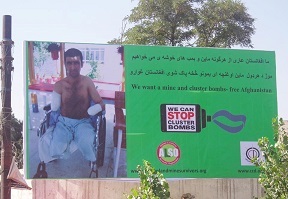 As part of its awareness raising efforts, the Afghan Landmine Survivors’ Organization (ALSO) set up a billboard in Kabul to alert about the risk posed by landmines and cluster munitions and demand a landmine and cluster munition-free Afghanistan. The Community Centre for Disabled (CCD), in Afghanistan, has published messages on cluster munition and landmine victims through Talash Magazine. CCD took part in the organization of the International Peace Day on 21 September. 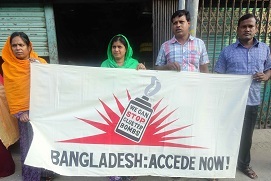 Latifa Gono Shohay Angon (LGSA) organised a human chain and a press conference on 28 October, in order to explain what cluster bombs are and to call on Bangladesh to raise its voice against recent use of cluster bombs and accede to the CCM. 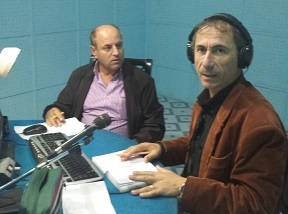 Several campaigns organized an event to promote the launch of the 2015 Cluster Munition Monitor report in September, including ALB-AID which was invited to talk on Albania TV, Halt Mine Use in Myanmar which organized a press conference in Yangon and translated, printed and distributed the report, and the Association Sénégalaise des Victimes de Mines (ASVM) in Senegal which organised a press conference on victim assistance to present the situation of landmine victims in Casamance, using the Landmine Monitor as well as an ASVM report. ALB-AID also participated in a TV programme where it talked about the results of the First Review Conference of the CCM. In Ethiopia, Bekele Gonfa provided support to his government in the preparation of the mine clearance extension request presented in June. Through various meetings with relevant national authorities, Bekele has encouraged Ethiopia to accede to the CCM. The Iraqi Alliance for Disability met with various government officials and held an implementation workshop in order to emphasize the importance of time-bound commitments for the implementation of the MBT and the CCM, at the national level. Liberia’s Association of Disabled Females International carried out lobbying meetings with national authorities, including the Ministry of Foreign Affairs, and sent a letter to the President regarding the ratification of the CCM. In Mozambique, the Network for Assistance to Victims of Mines (RAVIM) held a workshop at the Ministry of Gender, children and Social Action, to share the final version of the Action Plan on Victim Assistance. Following the country’s completion of its clearance obligations, RAVIM participated in the Completion Ceremony and issued a press release. Sustainable Peace and Development Organization (SPADO) has continued its valuable work on the casualty database, which keeps a record of all landmine casualties in Pakistan. 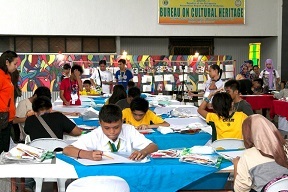 The Philippine Campaign to Ban Landmines used art as a therapy for children affected by violent conflict, and as a means to raise public awareness about the Mine Ban Treaty and the Convention on Cluster Munitions. The Association of Landmine Survivors and Amputees of Rwanda (ALSAR) held a workshop to raise awareness about the CCM and its implementation by all involved stakeholders, and specifically to develop a common understanding on the roles and responsibilities of all stakeholders involved in the implementation of the CCM and to establish Victim Assistance strategies. The Swedish Parliamentary Forum on Small Arms and Light Weapons organized two separate meetings with members of the National Assembly of Kenya and that of Liberia to discuss Kenya and Liberia’s ratification of the CCM. The ratification instrument has subsequently been introduced for ratification in the House of Representatives of Liberia. At the 133rd Inter-Parliamentary Union Assembly in Geneva in October, the Parliamentary Forum organised a side event on “Protecting civilians from armed violence – the role of parliamentarians”. Copyright © 2015 ICBL-CMC, All rights reserved.